strategies for an Outdoor Leadership Program (OLP). The growth mindset has been a buzz word within education for the past several years and has captured the attention of educators and administrators. There are now programs looking at how to change the ‘fixed mindset’ by training students to alter their perspective concerning their intelligence, perception of failure and self-worth. This requires removing a limiting mindset such as: the constant need to prove their abilities rather than trying to improve their abilities. An OLP can specifically challenge and create awareness of a student’s mindset. Many of the activities are fresh, attainable, unpracticed and optimally set up for a healthy amount of risk, success and motivation. How can a growth mindset be included in OLP lessons? 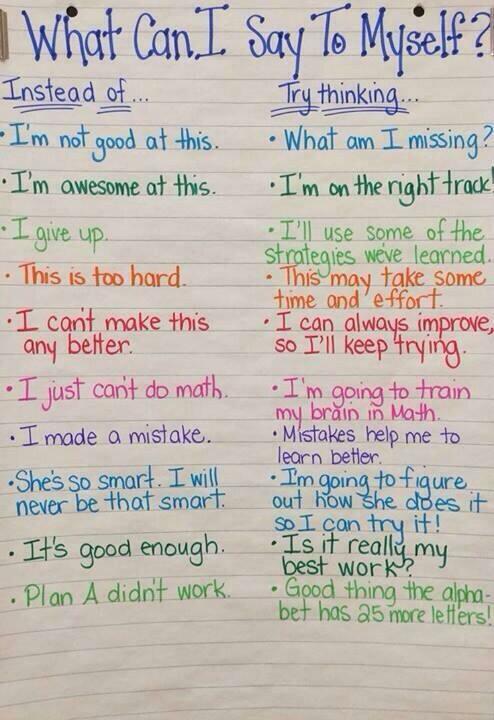 A cheat sheet to a changing mindset. This mindset is necessary for students to productively frame themselves in a successful way as leaders, challenge seekers and active participants. OLP activities can correctly shift participants mindset by structuring each student during the activity accordingly: (a) supporting an idea of competence, (b) promotion of personal values and goals, (c) cultivation of belonging to a group. These three ideas rely on self-reflection and the optimal learning challenge that requires students to have enough time to come to terms with personal difficulties, opportunity to engage in meta-cognition, receive feedback, then utilize a growth mindset using the statements below. As students progress along this structure, they will try new approaches to their various activities, challenges and group dynamics. Seeing students progress along this shifting mindset is how a student’s ‘success’ can be assessed. Use reframing statements during each OLP activity. I can succeed at this. During OLP activities students can rely on a belief that their abilities, though challenged, will be able to eventually perform well or find some measure of success. My ability and competence grow with my effort. Though there is an inherent fragility concerning abilities or expectations in regards to new, never before tried OLP activities, students should be encouraged to attempt each activity with the knowledge that effort creates growth and skills. For their first attempt, they should expect struggle. Challenge is inevitable for success. Many times in OLP activities the first attempt is fraught with failure. Within the right context a failure is a positive experience, a piece of wisdom and a powerful moment of self-wisdom. Challenge is beneficial to student interests, values or goals. Activities and the positive psychological outcomes should be placed within the context of the student’s personal goals. During an OLP activity students may need more support and explanation on how the action and purpose of the program serves their long and short-term goals as well as their larger life goals and the ability to foster new interests. Belonging to the group. The dynamics of the OLP class must be carefully put together and monitored. Each member must feel safe and autonomous yet an important part of the group. Peer and instructor relationships within an OLP are very important for fostering an optimal learning experience. Click on the link below to view the mindset activities and lesson plan link.